Are you tired of feeling self-conscious about your wrinkles, lines, redness, or scars? If so , it may be time to try laser genesis Chicago. Laser genesis is a non-invasive skin care procedure that can help with facial texture and tone after just a few treatments. The procedure is fast, painless and requires no recovery time, so you can get back to work or daily activities right after treatment. If you want skin that makes you look and feel good call SpaForever to book your free consultation today! Come visit us in the beautiful neighborhood of Bucktown and Wicker Park to find out what the best treatment for your needs is. We can’t wait to be apart of your skin care journey. If you suffer from any of these conditions, laser genesis may be a great option for you. Many patients begin to see the difference after just a few treatments. Laser genesis works by treating skin on a deeper level, below the surface with advanced laser technology. The heat from the laser stimulates collagen growth, which rejuvenates skin cells and restores skin by working from the inside-out. The procedure also works to close capillaries, which can help with issues like redness and rosacea. Laser Genesis in Chicago is a quick and painless procedure that you can get during the convenience of your lunch break. Furthermore, there is no downtime required after the procedure so you can go back to work or activities directly after the procedure! One of our expert staff members will guide you through the entire process. After a consultation for Laser Genesis in our Chicago spa, you can come in to get the procedure. Before the procedure your practitioner will give you protective eye wear to keep your eyes safe from the light in the laser. During the procedure you will feel a gentle warming sensation, which many patients describe to be painless. You may require additional treatments to reach your desired level of skin rejuvenation. Your provider can tell you more about the amount of treatments you will need based on your skin tone and texture. Many patients start to see results after just a few treatments! However, for optimal results most patients require 6-10 procedures* to reach their desired goal. Results can be apparent for 6-12 months* and can be best maintained with a healthy lifestyle, a good skincare routine, sun protection, and maintenance of the treatment after the desired result is reached. 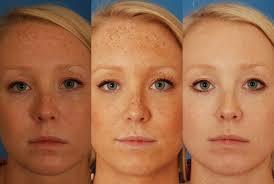 Laser Genesis Chicago also works great with some of our other treatments like the IPL photofacial. Many patients say that laser genesis is easy and painless. Some even say it is a relaxing experience! However, some patients may find that their skin has increased sensitivity after the procedure or minor redness that resolves within a few hours. Talk with one of our staff members at your consultation to get a comprehensive idea of what you can expect following treatment. At your consultation one of our staff members will walk through the entire process of laser genesis with you to help you determine if it is the best procedure for you and your skin care needs. Your practitioner will answer any questions you may have about the procedure. Furthermore, we can evaluate your skin’s needs to come up with a personalized treatment plan for you so that you get the results you want! At SpaForever we care about giving you the best experience possible and want to be there with you every step of the way to help you in your beauty journey. 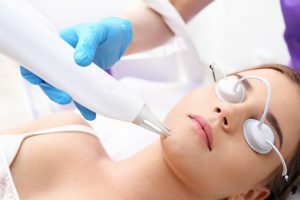 If you are ready to have beautiful, glowing skin that you can feel amazing about give us a call and come find out how laser genesis in Chicago could be apart of your skin care treatment routine! *Disclaimer: Individual results will very. The information stated and results shown do not guarantee a patient’s results. All patients require a comprehensive medical exam and consultation prior to any procedure.